Most routers have 192.168.1.1 or 192.168.0.1 as their default IP address. The 192.168.0.1 is usually assigned to routers manufactured by D-Link, TP-LINK or Netgear. 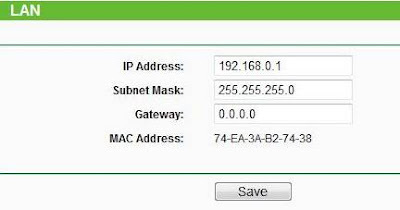 Let us have a look at how to configure router using 192.168.0.1, and change the network name and password. To configure your wireless network, you need to plug-in your router to a power supply. Connect the modem of your Internet connection to the router. Now, follow the steps and configure the router using the admin page. Enter the 192.168.0.1 default IP address in your browser address bar. Enter the default username and password when prompted. The default for D-Link routers is admin as the username and password needs to be kept blank. In case of Netgear the default username is admin and the password is password or 1234. Now, after you gain access to the router admin home page, you need to go the Wireless section. Enter the Scheduling for wireless settings as ‘Always’. Enter the Wireless Network Name or SSID. This will be unique identification name for your wireless network. Choose the name wisely and do not use any personal information. Select the Wireless Channel that helps optimize the performance and coverage of your wireless network. Now, choose the 802.11 Mode as ‘Only’ or ‘Mixed’ mode if available. Keep the Visibility status as ‘Visible’. This will allow your network name to be broadcasted and allow other devices to seek permission to connect to your network. In the Security Mode select WPA-Personal and enter the Passphrase or Pre-shared key. The pre-shared key has to be at least 8 letters long and contain upper case letters, lower case letters, numbers as well as special characters. The pre-shared key has to be strong and difficult to hack. There are many other settings that you can add or change in the router configuration page. Make sure you know what you need to do and then carry out the changes. Keep the SSID name visible, if you wish to broadcast it. Or else, turn it to invisible and no one can find your network in the surroundings. Some routers support USB printer, scanner or storage devices. You can select to share your network with these devices, if you want to. Read the manual if you cannot find or understand certain things. For most users, the basic configuration is enough to get the wireless network up and running. I want to use zxhn 168n vdsl modem to router wifi by using LAN port as WAN? how i can configure it ?